The Boy in the Dress will be a West End musical adaptation of David Walliams' hit book. 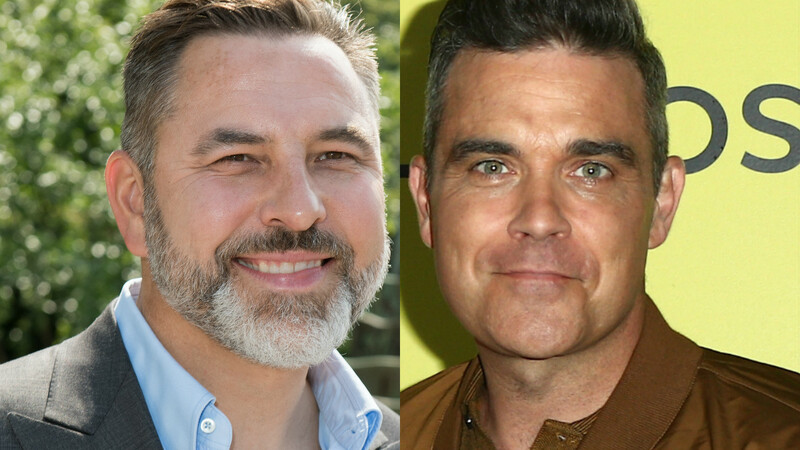 Robbie Williams and David Walliams have joined forces for a stage musical version of the comedian's successful children's book The Boy in the Dress. The Take That star and his long-time songwriting partner Guy Chambers – who have previously written hundreds of songs together including 'Let Me Entertain You' to 'Angels' – have written the music for the show. Walliams confirmed the plans on Twitter last year, adding that the Royal Shakespeare Company are also involved as producers. Swish. Robbie has worked with Walliams in the past, including a cameo appearance in an episode of Little Britain. The Boy in the Dress will run from November 8 to March 8, 2020 as part of the Royal Shakespeare Company’s winter season. RSC artistic director Gregory Doran directs the production, which is about a 12-year-old boy who is a football fan that also likes dresses. Britain's Got Talent judge Walliams has been a successful children's writer over the past decade, with bestsellers including 2010's Billionaire Boy, 2011's Gangsta Granny, 2012's Ratburger and 2014's Awful Auntie. I am over the moon that my book with @QuentinBlakeHQ ‘The Boy in the Dress’ is being adapted into a stage musical with a book by Mark Ravenhill & songs by @guyachambers & @robbiewilliams It is being produced next year by @TheRSC & will be directed by Greg Doran. The Boy in the Dress also saw Roald Dahl's legendary illustrator Quentin Blake illustrate the book, which was also adapted for TV back in 2014, starring the likes of Kate Moss, Jennifer Saunders and Meera Syal. This is bound to be amazing, whether you're a kid or not! Soccer Aid is coming back for 2019: Who is playing and how can you get tickets?